Can Aspirin Keep Mortality at Bay? Background The influence of long-term use of aspirin on total mortality in women remains uncertain. Methods We conducted a prospective, nested, case-control study of 79 439 women enrolled in the Nurses' Health Study who had no history of cardiovascular disease or cancer. Women provided data on medication use biennially since 1980. We assessed relative risk (RR) of death according to aspirin use before diagnosis of incident cardiovascular disease or cancer and during the corresponding period for each control subject. Results During 24 years, we documented 9477 deaths from all causes. In women who reported current aspirin use, the multivariate RR of death from all causes was 0.75 (95% confidence interval, 0.71-0.81) compared with women who never used aspirin regularly. The risk reduction was more apparent for death from cardiovascular disease (RR, 0.62; 95% confidence interval, 0.55-0.71) than for death from cancer (RR, 0.88; 95% confidence interval, 0.81-0.96). Use of aspirin for 1 to 5 years was associated with significant reductions in cardiovascular mortality (RR, 0.75; 95% confidence interval, 0.61-0.92). In contrast, a significant reduction in risk of cancer deaths was not observed until after 10 years of aspirin use (Plinear trend = .005). The benefit associated with aspirin was confined to low and moderate doses and was significantly greater in older participants (Pinteraction<.001) and those with more cardiac risk factors (Pinteraction = .02). Conclusions In women, low to moderate doses of aspirin are associated with significantly lower risk of all-cause mortality, particularly in older women and those with cardiac risk factors. A significant benefit is evident within 5 years for cardiovascular disease, whereas a modest benefit for cancer is not apparent until after 10 years of use. 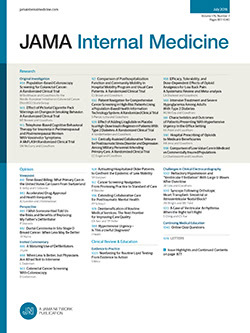 Cardiovascular disease and cancer are the 2 leading causes of death in women in the United States.1 Randomized trials have demonstrated a benefit for aspirin therapy in reducing the incidence of cardiovascular events and neoplastic polyps2-6; however, it remains unclear whether, on balance, aspirin therapy significantly influences risk of death, particularly in women. Although considerable evidence suggests that aspirin therapy improves survival in men and women with established cardiovascular disease,7 data for women without cardiovascular disease are limited and conflicting. Recently, a randomized trial of almost 40 000 apparently healthy women did not find a significant benefit of low-dose aspirin therapy on mortality.8,9 Nevertheless, the study examined a single dose and included only 1251 total deaths. We prospectively examined the influence of aspirin therapy on the risk of death from all causes, cardiovascular disease, and cancer in a large cohort of women enrolled in the Nurses' Health Study. During the last 24 years, participants provided detailed updated information on aspirin use and concurrent data on mortality risk factors. This prospective study permitted a more comprehensive examination of long-term aspirin use over a broader range of intake than would be feasible in a placebo-controlled trial. An earlier examination of aspirin use in this cohort did not find a strong relationship with mortality; however, that analysis was limited by the number of deaths (646) and short-term follow-up (6 years).10 In the present analysis, we offer results that encompass 24 years of follow-up and include 9477 deaths. The Nurses' Health Study was established in 1976 when 121 701 married female registered nurses aged 30 to 55 years, residing in the United States, completed a mailed questionnaire. Follow-up questionnaires have been sent biennially since then to ascertain information on risk factors and to identify newly diagnosed cardiovascular events and cancers. In 1980, the questionnaire was expanded to include a validated assessment of diet and medication use.11 The institutional review board at Brigham and Women's Hospital, Boston, Mass, approved this study; questionnaire completion was considered to imply informed consent. For the current analysis, we excluded women who did not return the medication assessment and those who reported cancer (except nonmelanoma skin) or cardiovascular disease (myocardial infarction, stroke, coronary artery bypass grafting or percutaneous coronary intervention, or angina) on or before the 1980 questionnaire. Using previously described methods,15 for each case subject (women who died), we chose control subjects randomly beginning with the earliest deaths and proceeding systematically through the end of follow-up. We randomly chose 7 control subjects for each of 5854 case subjects and 8 control subjects for each of 3623 case subjects, thus including 100% of all eligible participants (79 439) after baseline exclusions. Since 1980, we assessed intake of aspirin biennially except in 1986. We have previously described our aspirin use questionnaire in detail.10,16-18 In brief, in 1980, we asked women if they used aspirin “in most weeks,” the number of pills or capsules taken each week, and the number of years of use. In subsequent questionnaires, women were asked whether they regularly took aspirin and, if yes, the frequency and number of tablets per week (in categories). Early in the study, most women used standard-dose aspirin tablets; however, to reflect trends in consumption of low-dose aspirin, questionnaires after 1992 asked participants to convert intake of 4 “baby” aspirins to 1 adult tablet. In 2000 and 2002, we inquired specifically about low-dose aspirin. As previously described,16-18 we examined the duration of use by the number of years of use reported in 1980 with updating of this variable every 2 years. For each death, we defined the woman's aspirin use and other covariates according to the most updated information before death or, where relevant, the initial diagnosis of the disease that led to death. In this way, we reduced potential bias caused by initiation or discontinuation of aspirin therapy between the diagnosis of a potentially fatal disease and subsequent death. For 65% of case subjects, we used the last questionnaire completed before death; for 11%, 2 periods before death; for 7%, 3 periods before death; and for the remaining 17%, more than 3 periods before death. In women who did not use aspirin before diagnosis, 28% began using aspirin after diagnosis. We subsequently matched control subjects to case subjects for the period in which exposure data were collected, thereby accounting for the increasing trend to prescribe aspirin during the course of the study and the greater likelihood that a participant would use aspirin with longer follow-up. We used conditional logistic regression analysis to estimate relative risk (RR) of death associated with aspirin use and the corresponding 95% confidence interval (CI). We obtained similar results using unconditional logistic regression analysis adjusting for period. To increase statistical power, we used unconditional logistic regression analysis for secondary end points.20 Thus, all results presented are from unconditional logistic regression models, controlling for age, period, and mortality risk factors. Based on a previous analysis of this cohort,21 we used baseline data on body mass index (calculated as weight in kilograms divided by height in meters squared) to reduce the influence of underlying disease on weight.22 However, additional analyses using updated data on body mass index did not materially alter our results (data not shown). We used odds ratios from these models to approximate RR.23 We assessed linear trend of categories by assigning the median value of each category and including the term in multivariate models. In our model, we evaluated any curvilinear association by including both linear and quadratic terms (eg, number of aspirin tablets per week and that value squared).23,24 We used likelihood ratio tests comparing nested models with and without interaction variables to assess interaction. All P values were 2-sided. Significance was set at P<.05. We documented 9477 deaths from any cause that occurred during the 24 years of follow-up; 1991 women died of cardiovascular disease and 4469 died of cancer. Of the deaths from cardiovascular disease, 889 were due to coronary heart disease, 502 to stroke and 600 to other forms of cardiovascular disease (eg, congestive heart failure and others [these were not analyzed separately]). Of the deaths from cancer, 979 were due to lung cancer, 864 to breast cancer, 433 to colorectal cancer, and 2193 to other types of cancer (eg, ovarian and others not analyzed separately). Among the 79 439 participants, women reporting low to moderate use of aspirin were generally similar to nonusers (Table 1). We observed a significantly lower risk of death from all causes among women who reported current regular use of any aspirin compared with women who never used aspirin on a regular basis (multivariate RR, 0.75; 95% CI, 0.71-0.81), even after controlling for a range of risk factors for death (Table 2). The magnitude of risk reduction was greatest for death from cardiovascular disease (multivariate RR, 0.62; 95% CI, 0.55-0.71) including coronary heart disease and stroke. We observed only a modest association with death from all cancers (multivariate RR, 0.88; 95% CI, 0.81-0.96). The lower risk of cancer death among current aspirin users was statistically significant for death from colorectal cancer (multivariate RR, 0.72; 95% CI, 0.56-0.92). We observed a significant linear relationship between increasing duration of aspirin use and decreasing mortality from all causes (P<.001; Table 3). However, for death from cardiovascular disease, much of the apparent benefit associated with aspirin was achieved within the first 5 years (Plinear trend = .18). In contrast, for all cancer-related mortality, a significant benefit was not evident until after at least 10 years of aspirin use (Plinear trend = .005). The strongest inverse association of prolonged aspirin use was observed with death from colorectal cancer (multivariate RR, 0.50; 95% CI, 0.33-0.76 for 11-20 years, and multivariate RR, 0.61; 95% CI, 0.41-0.90 for >20 years; Plinear trend = .02). Although current aspirin use did not seem to confer an overall significant benefit in death from breast or lung cancer, women who used aspirin for longer than 20 years seemed to have a modest reduction in the risk of death from breast cancer (multivariate RR, 0.68; 95% CI, 0.51-0.89) and lung cancer (multivariate RR, 0.74; 95% CI, 0.57-0.97). Compared with women who never used aspirin on a regular basis, current users of low to moderate doses of aspirin had a substantially lower risk of death (multivariate RR, 0.70; 95% CI, 0.64-0.76 for 1-2 standard tablets per week, and RR, 0.67; 95% CI, 0.61-0.74 for 3-5 standard tablets per week; Table 4). Use of aspirin at the highest doses was not associated with risk reduction (multivariate RR, 1.10; 95% CI, 0.99-1.19 for >14 standard tablets per week). To assess this nonlinear relationship between aspirin dose and mortality, we performed analyses in which the median value for each category of aspirin tablets was entered into the multivariate model as both a linear and a quadratic term. A significant negative regression coefficient for the linear term (β = −8 × 10−2; P<.001) and a significant positive coefficient for the quadratic term (β = 5 × 10−3; P<.001) were derived, consistent with the observed U-shaped relationship.24 A similar significant U-shaped relationship between risk of death and aspirin dose was observed for death from cardiovascular disease and cancer. Consistent with findings of our previous analysis of aspirin use and incident colorectal cancer, we observed a strong linear relationship between increasing dose and lower risk of death from colorectal cancer when restricting the analysis to women who used aspirin for longer than 10 years (Plinear trend = .02). Based on previous data that suggested a higher incidence of hemorrhagic stroke due to increasing aspirin dose, we also examined the effect of aspirin dose on risk of death from hemorrhagic stroke.14 Among women who used more than 14 tablets per week, we observed a nonstatistically significant increased risk of death from hemorrhagic stroke (RR,1.43; 95% CI, 0.82-2.49) compared with women who never used aspirin. To evaluate the influence of amount of aspirin used with time, we estimated tablet-years of use by multiplying the number of aspirins used per week by the number of years of use (Table 5). We again observed a U-shaped relationship to death, with the greatest reduction in risk seen with a moderate number of tablet-years of use. We further examined the relationship of aspirin use with mortality within strata defined a priori by risk factors examined in other studies (Table 6).8,9 The benefit associated with current aspirin use seemed greater with increasing age for total mortality (Pinteraction<.001), death from cardiovascular disease (Pinteraction = .01), and death from cancer (Pinteraction = .02). Smoking did not seem to modify the association of aspirin with death from all causes (Pinteraction = .07) or cardiovascular disease (Pinteraction = .78). In contrast, the influence of aspirin on cancer-related mortality seemed to be confined to never and past smokers (Pinteraction = .002). In addition, the reduction in all-cause mortality associated with current aspirin use seemed greater with an increasing number of cardiac risk factors (Pinteraction = .02). During the 24 years of follow-up, aspirin was increasingly used for prevention of cardiac disease. Although we adjusted for time in our analyses, we considered the possibility that the changes in the indication for use with time still may have influenced our results. In 1992, we also began collecting more detailed data on medical follow-up and socioeconomic status.25 Thus, we conducted a secondary analysis in which 1992 was the baseline period and, in addition, controlled for physician visits and years of educational attainment of participants and their spouses. The multivariate risk of death associated with current aspirin use was not materially altered for deaths from all causes (RR, 0.70; 95% CI, 0.64-0.77), cardiovascular disease, (RR, 0.60; 95% CI, 0.49-0.73), and cancer (RR, 0.86; 95% CI, 0.75-0.99). We also found no significant relationship between use of multivitamins and death from all causes (multivariate RR, 1.03; 95% CI, 0.98-1.08), suggesting that our results for aspirin use were not simply related to general behaviors associated with regular use of a medication or supplement. We confirmed that aspirin use was not significantly associated with death from accidents (multivariate RR, 0.89; 95% CI, 0.67-1.18), for which aspirin does not likely have a biologically plausible role. In this large prospective study, women who were currently using aspirin had a lower risk of death than did women who never used aspirin regularly, particularly for death from cardiovascular disease. A modest reduction in cancer-related mortality (principally, colorectal cancer) was also observed, although a significant inverse association was not apparent until after 10 years of aspirin use. Moreover, the apparent benefit associated with aspirin was largely confined to low to moderate doses of aspirin (1-14 standard tablets per week), whereas higher doses (>14 tablets) did not confer any benefit. Consistent with our results, men and women randomized to receive 100 mg/d of aspirin in the Primary Prevention Project experienced an RR of cardiovascular death of 0.56 (95% CI, 0.31-0.99); in women, the RR of cardiovascular death was 0.41 (95% CI, 0.16-1.05) and the RR of total mortality was 0.60 (95% CI, 0.34-1.04). In this trial, all participants had at least 1 cardiovascular risk factor or were older than 65 years.44 Similarly, we also found that the effect of aspirin use on mortality was strongest in women with the greatest number of risk factors. Although several of our findings are consistent with those of the WHS, the WHS did not find any overall benefit with aspirin use for death from all causes, cardiovascular disease, or cancers.8,9 However, the WHS had shorter follow-up, included fewer participants and end points, and examined only a single regimen of aspirin. Moreover, compared with the WHS, our study population, on average, seemed to have a higher prevalence of mortality risk factors, which is associated in both studies with a greater effect for aspirin use (Table 7). Our study had several strengths. First, we were able to evaluate long-term use across a broader range of intake. Second, we obtained aspirin data prospectively, thus minimizing the influence of errors in recall and biases related to incomplete data collection from participants with fatal diagnoses. Also, to account for changes in participants' patterns of use, we updated aspirin data biennially. Third, we reviewed records to confirm the initial diagnosis of a fatal disease and determine cause of death. This enabled us to evaluate aspirin use before the diagnosis of a fatal disease rather than before death, thereby minimizing any bias related to discontinuation or initiation of use between diagnosis and subsequent death. Moreover, this reduced misclassification inherent in data based entirely on death certifications. Fourth, our control subjects were derived from the same well-defined population as our case subjects, thus reducing potential selection biases. Fifth, our cohort of nurses likely provides more accurate data on actual consumption of over-the-counter aspirin and potential confounding risk factors. Several limitations of our study merit comment. The study was observational and aspirin use was self-selected. Thus, despite the strong biologic plausibility of our results, it is possible that our findings could be related to the reason for which participants used aspirin.39 However, we categorized participants according to their use of aspirin before diagnosis of subsequently fatal disease, minimizing potential bias related to changes in aspirin intake because of illness. Nevertheless, we cannot completely exclude residual confounding, and our findings cannot assign causality. Although intervention trials of aspirin therapy potentially would be more definitive, our data highlight the need to examine prolonged use of a wider range of doses. Such intervention trials may not be feasible given the need for a large number of participants and prolonged follow-up. Because our study design matched cases of death with noncases, we were only able to assess the effect of aspirin on fatal outcomes. Specifically, we documented only 41 deaths related primarily to gastrointestinal tract bleeding and, therefore, could not reliably estimate the effect of aspirin use on this end point. However, in this cohort, we previously observed a dose-dependent increase in reported serious episodes of gastrointestinal tract bleeding.18 Moreover, the limited number of deaths related to this potential complication of aspirin use is of interest in itself. In summary, our results suggest that, among women, aspirin use at low to moderate doses is associated with a reduced risk of all-cause mortality, largely due to death from cardiovascular disease. Although aspirin therapy seemed to have a benefit against death from cancer, the effect was relatively modest, requiring prolonged use. However, because our study was observational, these results should be interpreted cautiously and are insufficient evidence to alter current clinical recommendations. Nevertheless, these data support a need for continued investigation of the use of aspirin for chronic disease prevention. Correspondence: Andrew T. Chan, MD, MPH, Gastrointestinal Unit, Massachusetts General Hospital, 55 Fruit St, Gray-Jackson 728A, Boston, MA 02114. Accepted for Publication: August 30, 2006. Author Contributions: Dr Chan had full access to all the data in the study and takes responsibility for the integrity of the data and the accuracy of the data analysis. Study concept and design: Chan, Manson, Colditz, and Fuchs. Acquisition of data: Manson, Stampfer, and Fuchs. Analysis and interpretation of data: Chan, Manson, Feskanich, Stampfer, and Fuchs. Drafting of the manuscript: Chan and Fuchs. Critical revision of the manuscript for important intellectual content: Chan, Manson, Feskanich, Stampfer, and Fuchs. Statistical analysis: Chan, Feskanich, and Stampfer. Obtained funding: Chan, Manson, and Fuchs. Administrative, technical, and material support: Manson, Stampfer, Colditz, and Fuchs. Study supervision: Manson and Fuchs. Acknowledgement: We thank the participants in the Nurses' Health Study for their continued dedication; Gideon Aweh, MS, and Karen Corsano, MA, for programming assistance; and Barbara Egan for obtaining medical records and death certificates.